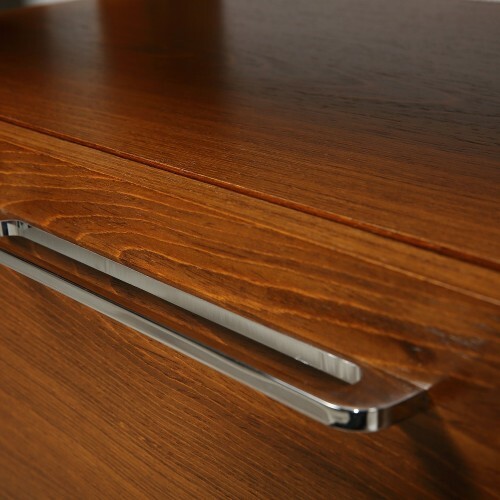 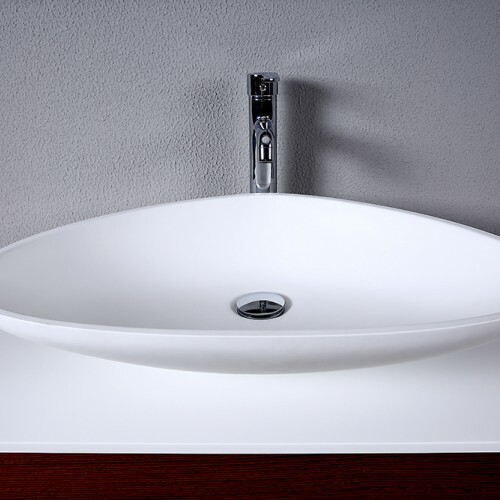 Mare Collection’s Pollino design seamlessly melds charm with style and functionality. 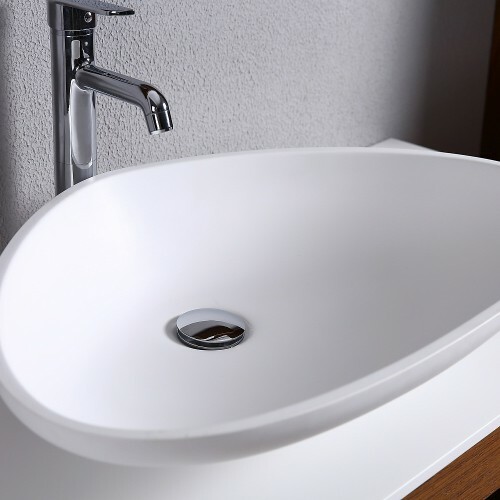 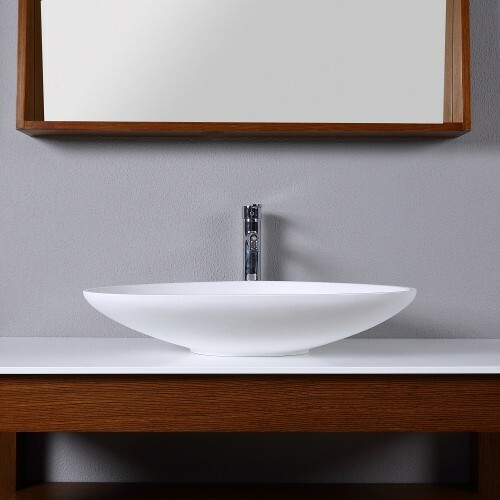 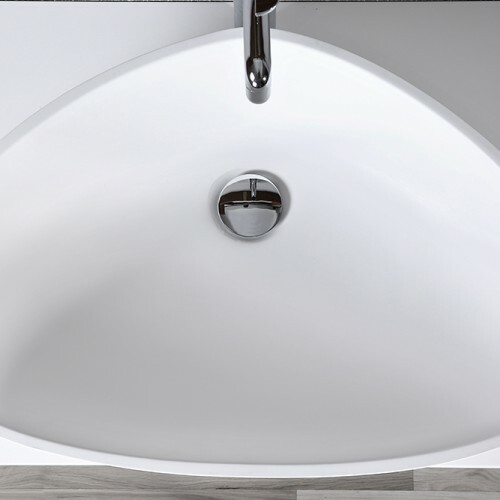 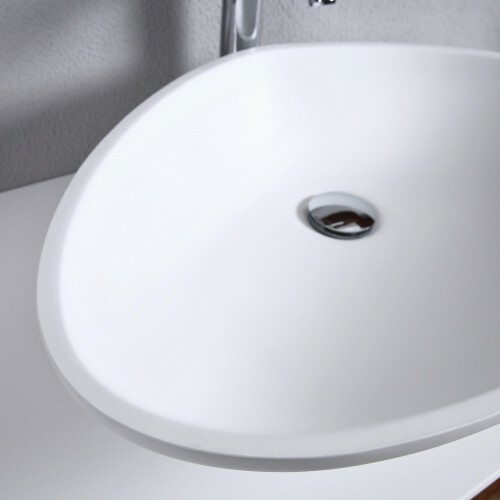 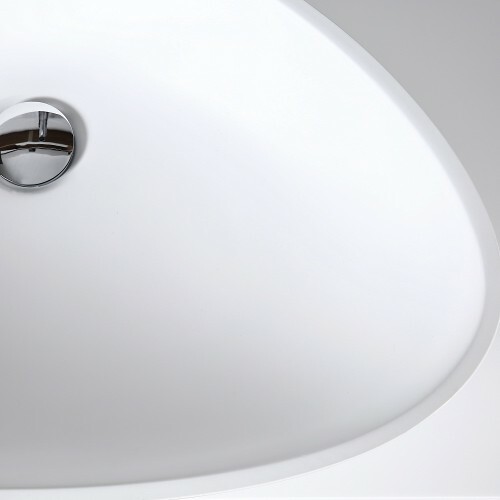 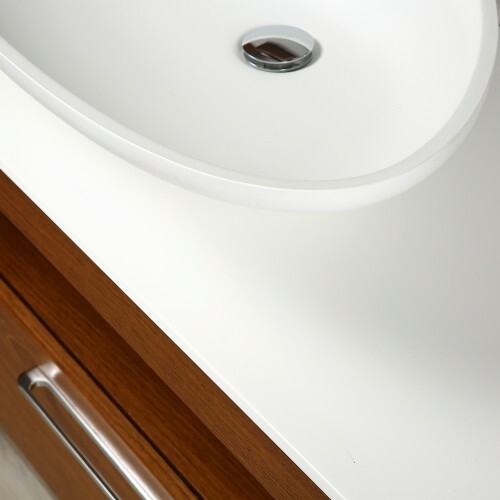 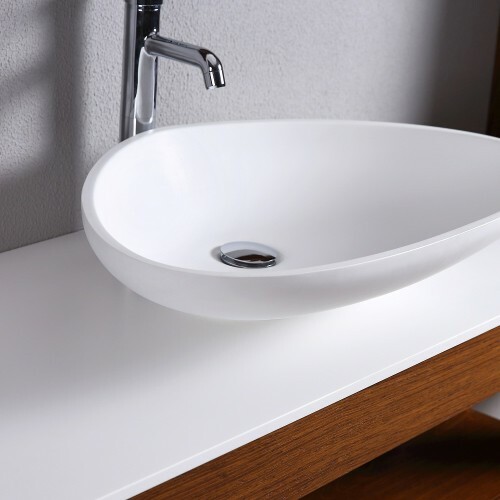 The gently curving and triangular-inspired washbasin and the counter it sits on are crafted from a natural mineral blend and bonded with a small amount of resin. 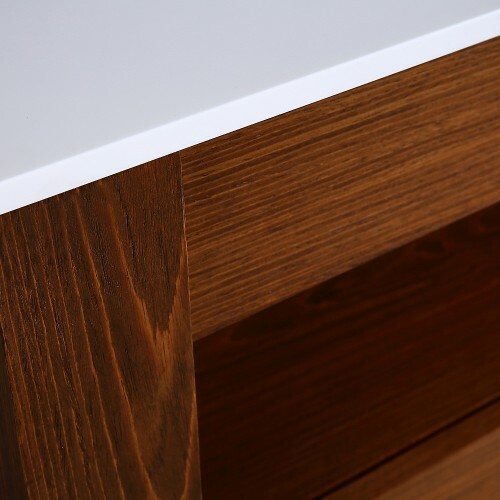 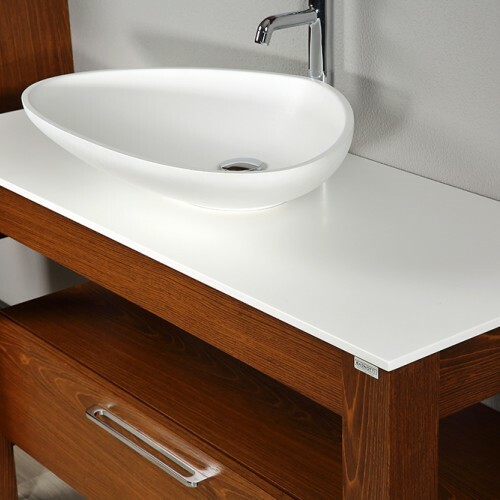 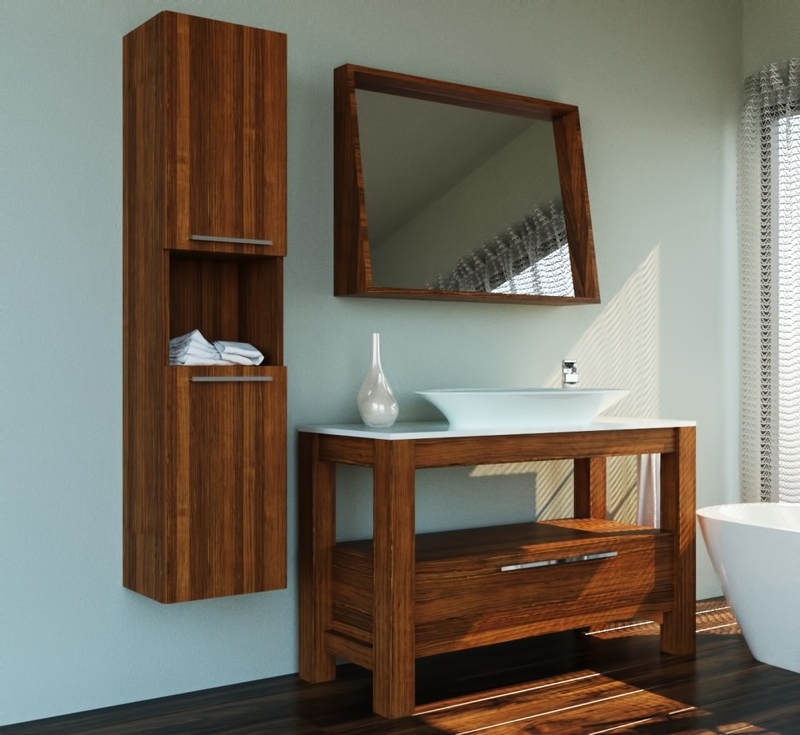 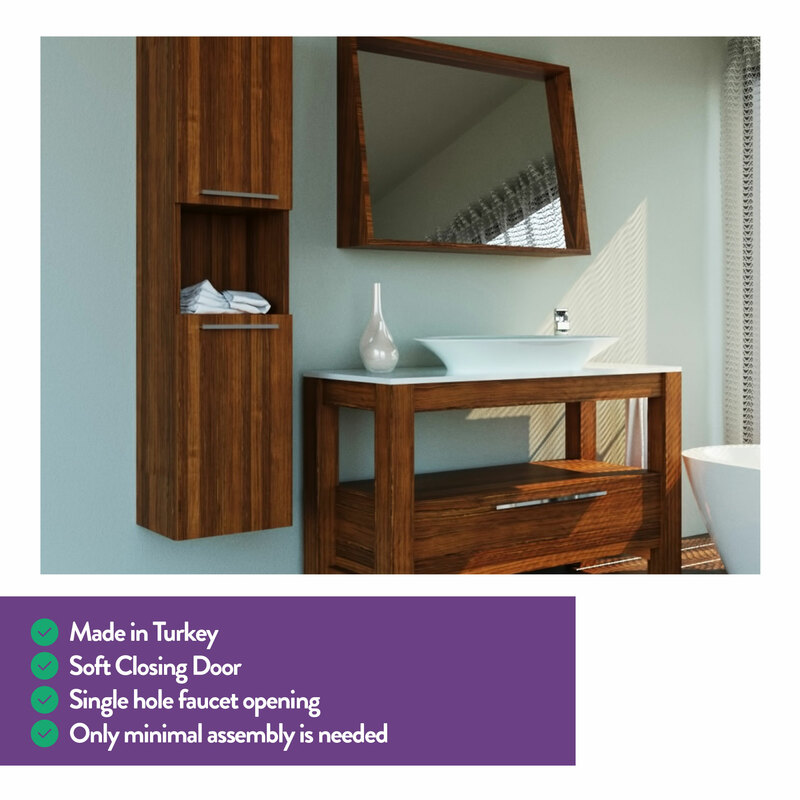 The handmade, natural wood veneer cabinet features decorative wood grains that provide visual contrast with the washbasin. 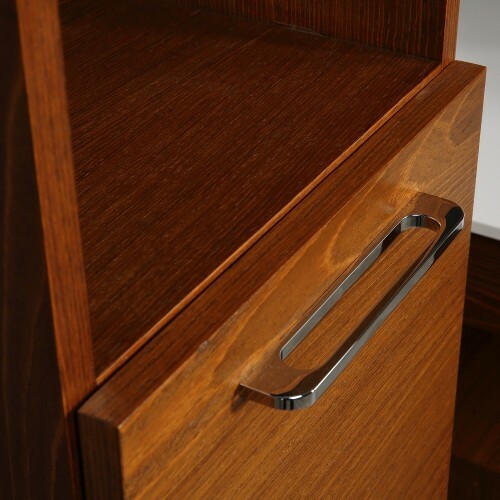 A single, wide shelf sits atop an oversized drawer for ample storage space.